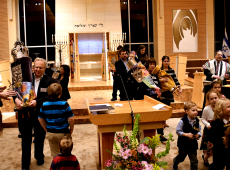 A Shabbat worship service in song and dance for families with young children—Shabbos with a Smile! This 7:00 p.m. service will provide all families with elementary-aged children the opportunity to come together over a meal and then pray together in a unique, interactive, musical worship service. This is an adult friendship group open to all members. We meet four times a year for the early Friday evening service. We enjoy a delicious pot-luck dinner at 7:15pm and enjoy an informative and entertaining program. There is no cost to join our Havurah, only a food donation for the pot-luck dinner. 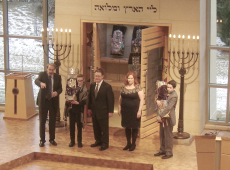 Look for upcoming events in the current Ha-Kol for reservation and program detail information.